Giannina Segnini is Director of the Master of Science Data Journalism Program at the Journalism School at Columbia University in New York. Until February 2014, Segnini headed a team of journalists and computer engineers at La Nacion, Costa Rica’s newspaper. The team was fully dedicated to unfold investigative stories by gathering, analyzing and visualizing public databases. Her team processed the data and developed the interactive application for the OffshoreLeaks project, published by the International Consortium of Investigative Journalists (ICIJ) in 2013. She also partakes actively in the ICIJ’s Panama Papers project. More than fifty criminal cases against politicians, businessmen and public officials originated by its revelations were pursued by law-enforcement in Costa Rica, the United Kingdom, France, Finland and the United States, including two former presidents of Costa Rica who were found guilty of corruption charges. Segnini has been an ICIJ’s active member since 2007 and member of its board of advisers since 2015. Segnini is also a member of Investigative Reporters and Editors (IRE), the Global Investigative Journalism Network (GIJN) ,Global Editors Network (GEN), Instituto de Prensa y Sociedad (IPYS) and the Gabriel García Márquez Foundation. Her work has garnered the Maria Moors Cabot Award (2014), the Excellence Award from the Gabriel García Márquez Foundation (2013), the Spanish Ortega y Gasset Prize (2005), the award for Best Journalistic Investigation of a Corruption Case for Latin America and the Caribbean (2005, 2006 and 2009), the highest Costa Rican award in journalism, the Pío Víquez Prize (2013) and the Jorge Vargas Gene Award, Costa Rica’s National Journalism Award (2000, 2003 and 2004), among others. Segnini was a Nieman Fellow at Harvard University (2001-2002) and graduated as a Journalist at the University of Costa Rica. 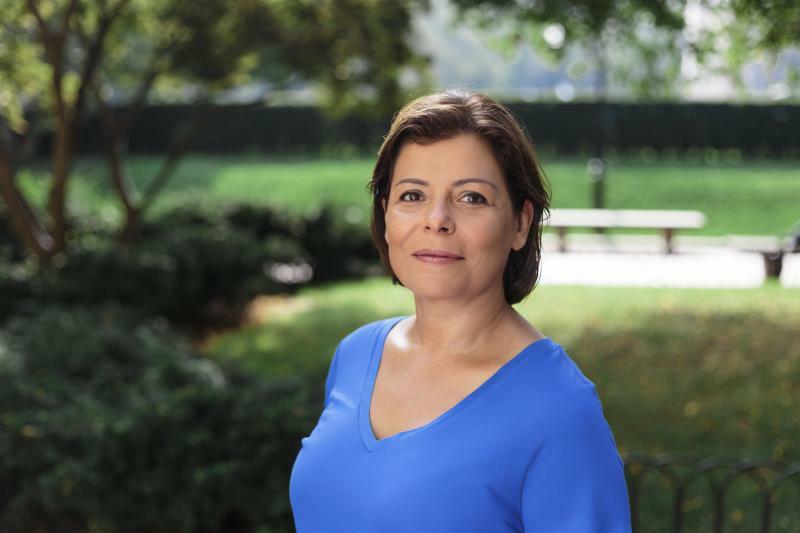 She is member of the jury for the Global Data Journalism Awards (GEN), the Gabriel García Márquez Awards and the Best Journalistic Investigation of a Corruption Case for Latin America and the Caribbean Awards. In the past decade she has also lectured as a guest speaker at a number of international conferences on data investigative journalism and corruption, such as the Global Investigative Journalism Conference (GIJC), the International Anti-Corruption Conference held by Transparency International, the Investigative Reporters and Editors (IRE) conferences, the International Press Institute, the News World Summit and the Latin American Conference on Investigative Journalism, among others. She has also served as a consultant for academic and international organizations around the World such as Columbia University’s Graduate School of Journalism in New York, Deutsche Welle Akademie in Germany, International Academy of Journalism (Intajour) in Germany, the Master’s Program on Data Investigative Journalism and Visualization at El Mundo, Spain,; Master de Periodismo in El País, Spain, Universidad Nacional Autónoma de México (UNAM), Universidad Javeriana in Colombia, Universidad Francisco Marroquín in Guatemala, the United Nations Development Program (UNDP), the Organization of American States (OAS), the United States Agency for International Development (USAID), Freedom House, Inter American Press Association (IAPA) and Grupo de Diarios de América (GDA). Giannina Segnini has also trained hundreds of journalists at leading media outlets in various countries around the World such as O Globo and Folha de São Paulo in Brazil, The Sun, The Sunday Times and the Times in the United Kingdom, El País in Spain, Leading European Newspapers Alliance (LENA), all media outlets in Timor-Leste, Kiev Post in Ukraine, Moscow and Orenburg in Russia, Revista Semana and El Tiempo in Colombia, El Nacional and Cadena Capriles in Venezuela, El Mercurio and MEGA in Chile, El Periódico and Siglo XXI in Guatemala, La Prensa in Panama, among others. This class is designed to provide students the foundational data and computational skills that will allow them to pursue data-driven stories. Through in-class class instruction, drills and discussion with guest speakers innovating in the field of data journalism, students can refine their skills and be inspired to develop ideas for stories that exist on the frontiers of professional journalism. The workshop will also act as a space for students to discuss and further develop their Master’s projects.